1.) 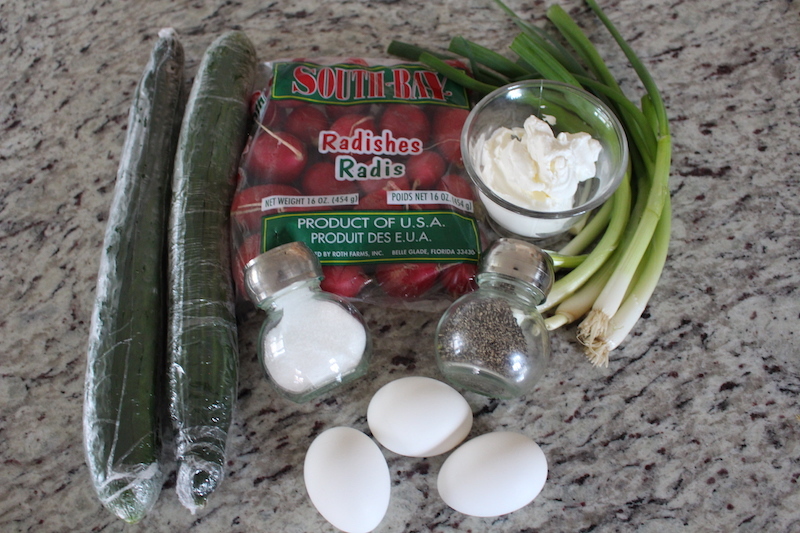 To Start of the recipe, cut your washed cucumbers, radish and scallions. Then hard boil your eggs. After peeling your eggs combine everything in a large bowl with your seasoning. Also add your sour cream and then enjoy! 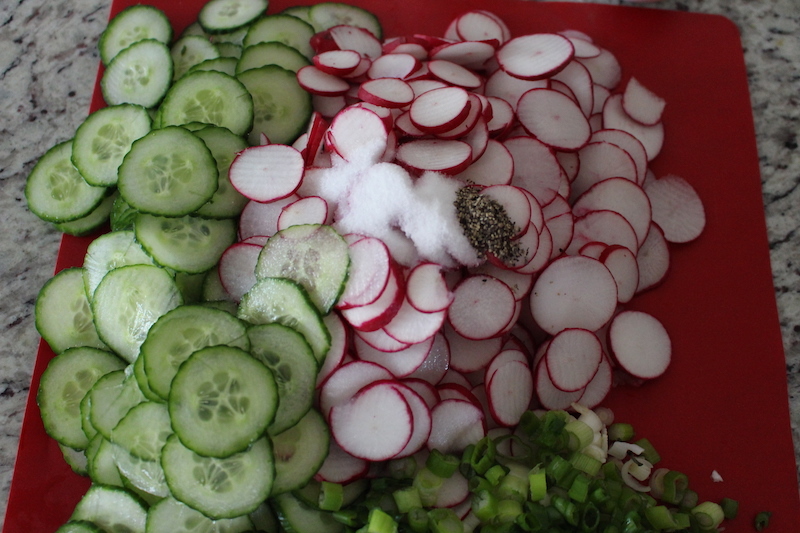 To Start of the recipe, cut your washed cucumbers, radish and scallions. Then hard boil your eggs. 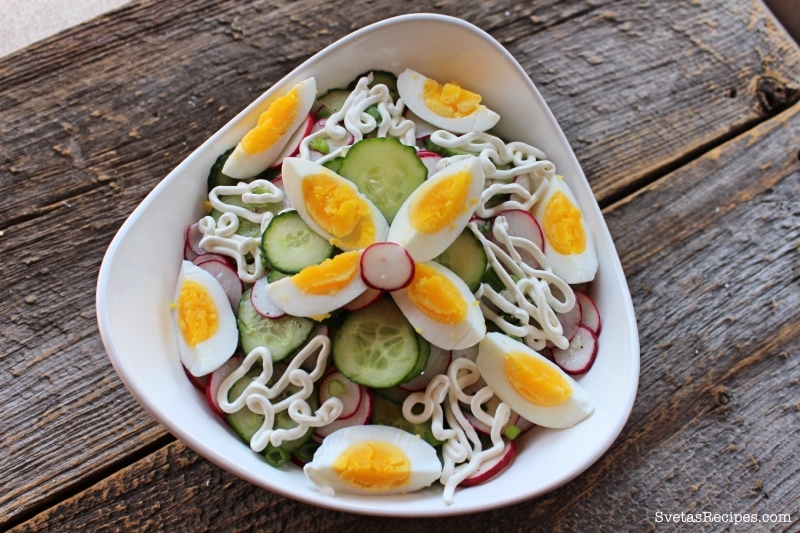 After peeling your eggs combine everything in a large bowl with your seasoning. Also add your sour cream and then enjoy!